South African maths and science education are in crisis – the vast majority of learners are denied the joy and excitement of scientific discovery. Science Spaza brings hands-on curriculum linked resources to science clubs across the country – improving science literacy and exposing learners to exciting opportunities and possibilities. Learners pick up their science essentials at Science Spaza – Because Knowledge is Ncah! Internationally and in South Africa, women remain under-represented in the sciences. Addressing this, and the many challenges faced by African women in science, is crucial to bring science and society closer together. Agent Zee talks to young scientists exposing them to opportunities, information and role models – inspiration for the next generation of African science leaders. Agent Zee sends out a weekly newsletter to over 750 tertiary students countrywide. 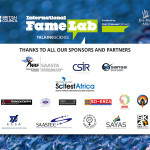 Jive Media Africa in collaboration with The British Council brought the international FameLab® competition to South Africa in 2013. 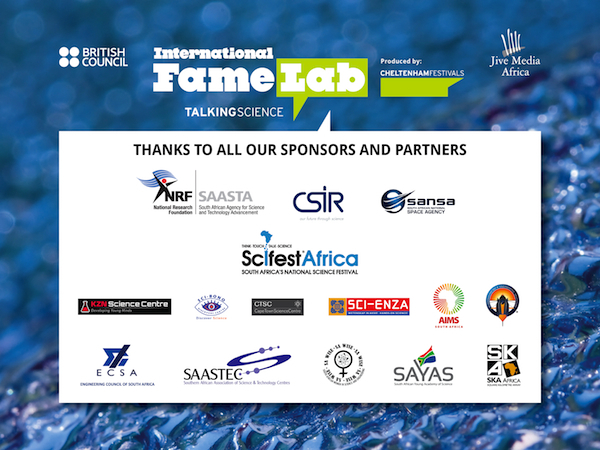 We’re ready to go with FameLab South Africa 2017! Empowering young South African scientists to communicate their science to the world!